Go ahead and fast forward through every episode of Netflix’s 13 Reasons Why except for the ones with Ross Butler. There’s no reason to feel bad about it: The 26-year-old actor is crush-worthy as Zach Dempsey, a lonely but popular basketball star, and his charismatic performance makes him the show’s standout. 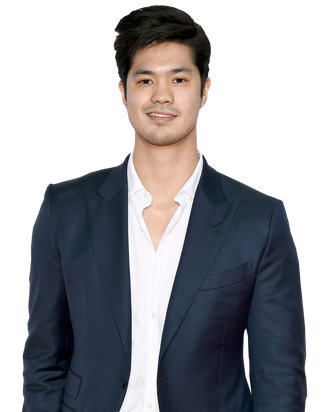 Butler is no stranger to teen dramas: He also plays Reggie Mantle on the CW’s Riverdale, although he couldn’t commit to the show’s second season because of his schedule. Well-liked, wealthy, and sad, Butler describes Zach as a “nuanced jock,” an Asian high schooler who does good work to bring visibility to Asian bros. In Zach’s episode, Hannah reveals that she was hurt when she wrote him a half-love note, half-cry for help, only to think he threw it away. Zach’s tape ends with the last-minute twist that he hadn’t tossed that note, something Hannah never knew. Butler spoke to Vulture about playing Zach, working as an Asian-American actor, and his random friendship with Courtney Love. Congrats on 13 Reasons Why, it’s a huge hit. How does that feel? Thank you. It feels pretty good, to be honest. I wasn’t really expecting it to explode like this, but of course I’m happy the message is getting out there and that it’s stirring up conversation. How did you come to audition for 13 Reasons Why? I was back home in northern Virginia and I was staying at my best friend’s house and I got an email from my agent saying I had an audition for this show called 13 Reasons Why. It seemed cool — I looked it up and saw the book. I had to tape my audition with my best friend’s mom because it was due the next day. My original sides were for Justin Foley and Jessica Davis. So I had to have this really heated argument scene with my best friend’s mom. She needed to play this high-school girl. Of course, she’s not an actress so she acted like how she thought acting should be: She had that transatlantic accent. You’ve been very candid about working as an Asian-American actor. What have your other auditions been like? I told my team not to send me out for stereotypical Asian roles, so I didn’t get a lot of things for a while. At first, it was a little intimidating. I’d be the only Asian guy there because I was going out for roles that weren’t Asian specific. I felt like the casting directors know what they want. There’s all these white guys here with blonde hair and blue eyes, and then there’s me. It felt like, I’m definitely not going to get this one. For a while, that was true. I felt self-conscious about it, but now I feel the opposite. I’m much more confident going into auditions, knowing that I represent a different choice. I’m the minority, so I’m bringing a different and useful perspective to roles. Do you think casting directors should be doing more? Yes and no. There’s still controversy surrounding Ghost in the Shell and Doctor Strange. With movies, there’s [room for improvement.] But honestly, I think in the past two years on the TV side they’ve been doing a great job. There’s so much diversity on TV. It’s actually reflecting American culture. What’s next for you? Do you want to keep doing TV? Movies are where I want to be next. When I was growing up, my mom didn’t let me watch a lot of TV. She said I couldn’t watch Friends or that era of sitcoms. Today, when all my friends reference Friends or The Simpsons, even, I’m always like, “Ahh, I never watched any of those.” I watched movies. Growing up, my favorite movies were Forrest Gump, Shawshank Redemption, Gladiator — none of them really had Asian leading men. That’s what’s important to me: My role models were Hugh Jackman in Wolverine or Russell Crowe. I want to fill that gap. Tobey Maguire and Ed Zwick told Vulture a few years ago that there’s not a new generation of Leos or Tobeys because a lot of would-be young male movie stars are caught up doing teen shows early in their careers. What do you make of that? I think we have emerging talent like Andrew Garfield and Evan Peters. Tom Holland, too. But I do see it as kind of a dying breed. The movies aren’t what they used to be — the golden age of TV is a lot more affordable for people to watch when a trip to the movies costs $18. Growing movie stars is harder when it requires such an investment. So yeah, I agree with that. Between 13 Reasons Why and Riverdale, you’re pretty savvy about choosing material. What’s your secret? Anything that’s character-driven, even though that seems kind of obvious. I’ve played a jock a lot, but pretty nuanced jocks. It’s not all about action or special effects for me. Zach is a great character because he’s the lonely popular kid. What was the hardest scene for you to shoot? The last scene of my tape [in episode seven], when I’m talking with Clay in his front yard. He asks me about Hannah and I reveal that I have the secret letter she wrote me because I never threw it away like she thought. At first, it was just hard because I’d never opened up to anyone as Zach. Then all of a sudden, I’m telling Clay the truth and saying how sorry I am about everything that happened with Hannah. Asking him to read the letter was a big moment. Until then, no one else had read that letter besides me and Hannah. It was me asking for help, kind of, “Read this so I can have someone to talk about this with.” But then Clay says no. If you were popular, you can admit that. The thing is, I had a lot of friends. But I wasn’t really close with any of them. I would hop around from group to group. I wasn’t with the popular kids, I wasn’t with the nerds, I wasn’t with the athletes. I was a social butterfly, but I couldn’t place myself in any of those cliques. Even looking back, I’m not sure what I was other than a drifter. I feel that. I’m black and I went to a pretty white prep school, so I understand doing that kind of shape-shifting when you’re young. It’s just that feeling of not having a high-school identity. Was there anything else about your upbringing that prepared you to be an actor or work in Hollywood? At first glance, no. I was raised to be an academic. I went to Ohio State for chemical and biomolecular engineering for a year and then dropped out and moved to L.A. I wouldn’t really say anything prepared me to be an actor other than just watching a lot of movies. I wasn’t raised for this particular industry, but my mom’s style just worked out. She taught me a lot about having a good work ethic. She always wanted me to be a perfectionist, which of course I hated at the time. Finishing high school and being educated is also a positive to be an actor. I think the best actors are well-read and well-versed. From your Instagram, it looks like you’re pretty good friends with Courtney Love. How did that happen? A good friend of mine is her manager. I met him [through a mutual friend] when I moved to L.A. and he was like, “Hey, do you wanna meet Courtney Love?” and I said sure. She and I just clicked really well. She’s super educated, like a walking encyclopedia. She’s just decided to keep me around, and has been my mentor and my big sister ever since. She’s actually helped me be more confident about wanting to be a leading man who’s Asian-American. When I moved here I had no direction, and she brought it up to me as something I should feel confident about. Since you’re an official Vulture crush, inquiring minds want to know: Are you single? Our readers will be happy to learn that. Yeah, yeah … I just haven’t found the right one yet, you know?